Yesterday I attended the Newburyport, Mass. annual garden tour. Hats off to the sponsor, the Historical Society of Old Newbury. 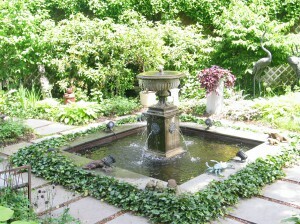 This was its thirty-third annual event with this year twelve gardens to visit. Had a great time, though I am glad I drove because the distance between the gardens proved a challenge by foot. What struck me, perhaps because Newburyport has a long history, was that several gardens included bits of the English garden like perennial beds, an extensive lawn, and even the element of surprise for the visitor from time to time. A favorite was a garden in a courtyard, outside a Victorian house. 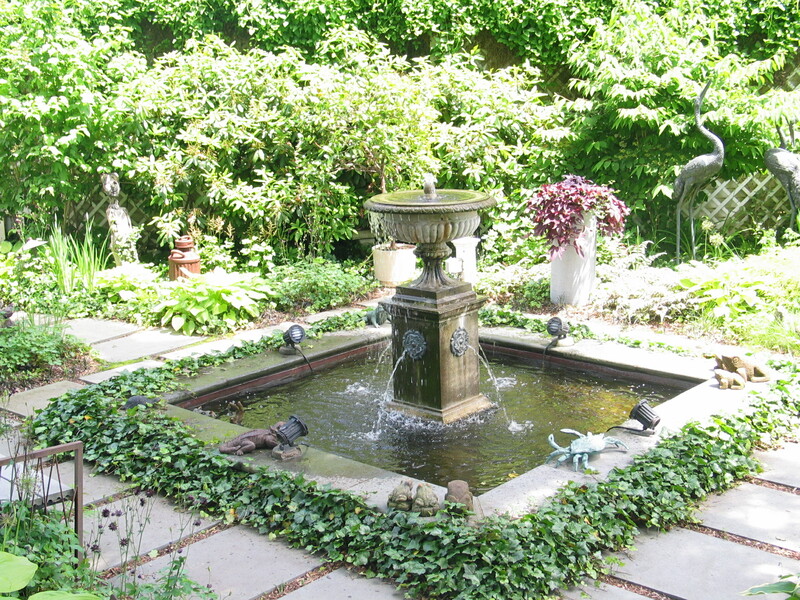 A Victorian fountain surrounded by bluestone stepping-stones formed the garden’s center. A pair of tall brass cranes stood near the water. Numerous plants, including a few hanging over the leaded containers, filled out the garden. A Victorian fountain met the visitor at this courtyard area. This property included a series of gardens, some close to the house as well as a lower terrace with an English garden design throughout, including a white garden. 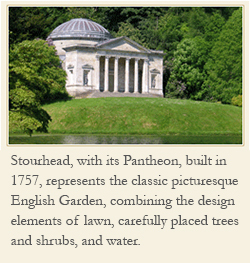 Though the garden is only seven years old, the English garden style was evident in the decisions the owners made in design and plant choices. Since the home was built in the Victorian period and reflected that style, the owners set out to make a landscape of the late nineteenth century. 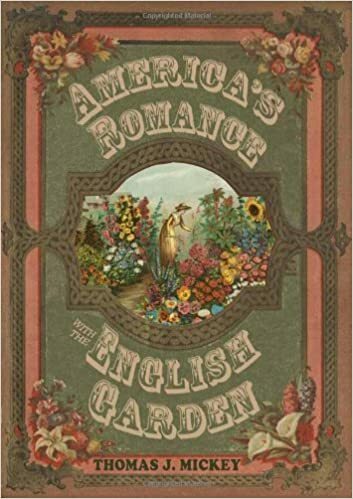 At that time of course the English garden provided the standard for American gardening. I loved what the owners had done.